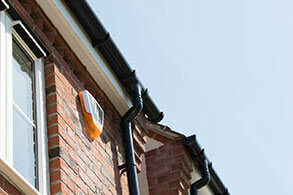 Here at Bee Tee Alarms Ltd, we offer a wide range of services for all your security concerns. Our years of in-depth experience will guarantee a quality service with quality security equipment to ensure that you, your employees and your premises are safe and secure. 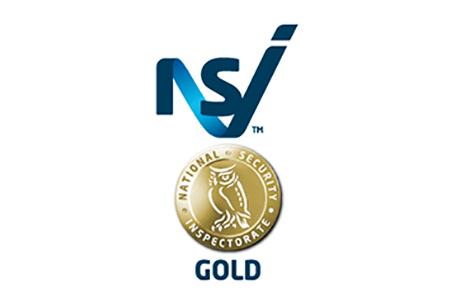 All of our home security services have been recognised by authorities, police, construction companies, domestic clients and by many commercial companies in and around the Birmingham, Milton Keynes and surrounding areas. 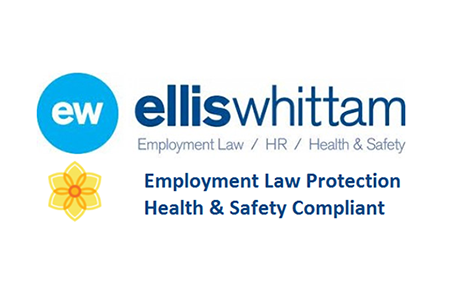 Controlling the external premises of your property is always important, but the internal premises also need security put in place to ensure staff are properly protected. Our fully managed systems with single or multiple door access systems can provide the necessary protection that you need. Our systems, when put in place, create more barriers for intruders to tackle before accessing important documents or anything else. 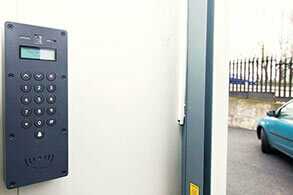 Our Access Control Systems also provides a range of options tailored to suit your needs. 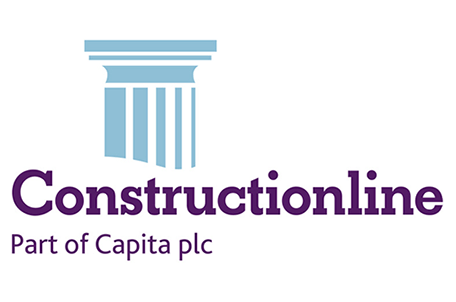 For any more information about our services then please do contact us via our contact us page or call us on 0808 168 1233. 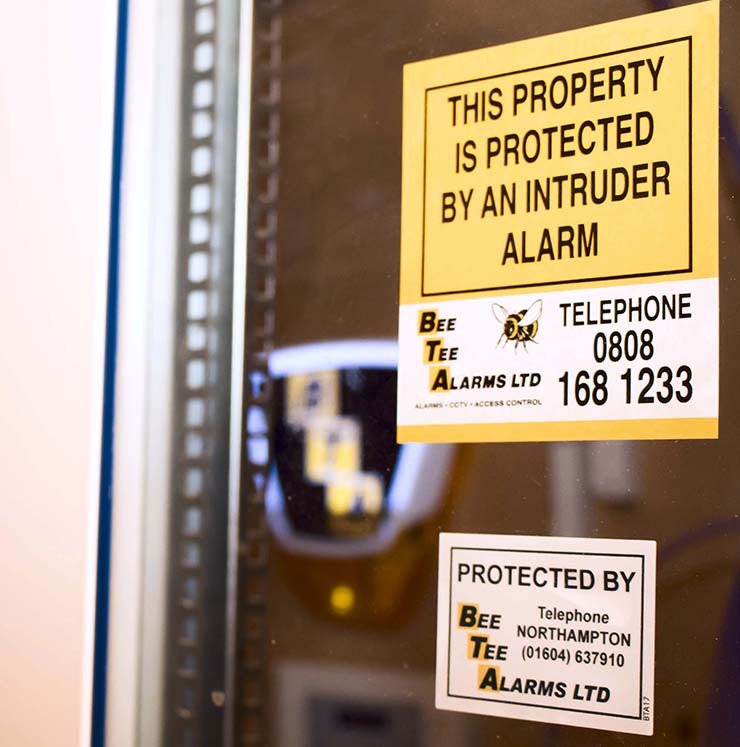 Bee Tee Alarms Ltd are proud to offer intruder alarms that are professionally designed, installed and maintained by our ever-growing team of experts, with your property at the forefront of our minds. Bee Tee Alarms Ltd is proud that we have installed over 18,000 intruder alarms over our years, 8,000 of which we still to this day still maintain with 2,000 that are also monitored by our impressive team. Our range of products from ‘Audio only’ to audio and visual are linked with local authorities to provide you and anyone within your premises a fast police response. 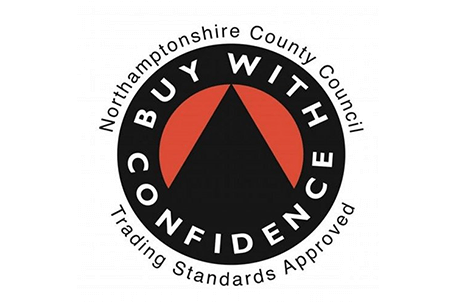 Our intruder alarm systems have been established for nearly 25 years which means that you can be sure that we provide you with the security that works for your needs. All of our CCTV systems are designed with a variety of camera and surveillance options in mind to perfectly fit your security needs. Our designed, installed and maintained systems are designed to do their job, to keep your premises safe from any intruder. Bee Tee Alarms Ltd is proud to work with the leading manufacturers and suppliers in order to provide you with the widest range possible to protect your premises and to suit your budget. Our systems offer flexible recording options with system management being managed locally or via remote software. 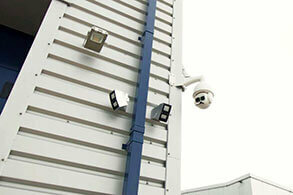 Whatever your CCTV system requirements, Bee Tee Alarms Ltd will be able to provide you with the solution. Controlling who has access to your premises can be a vital thing for any commercial business or residential home. 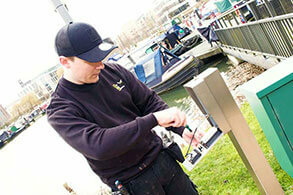 The added layer of security can really deter intruders from attempting to gain access to your premises. 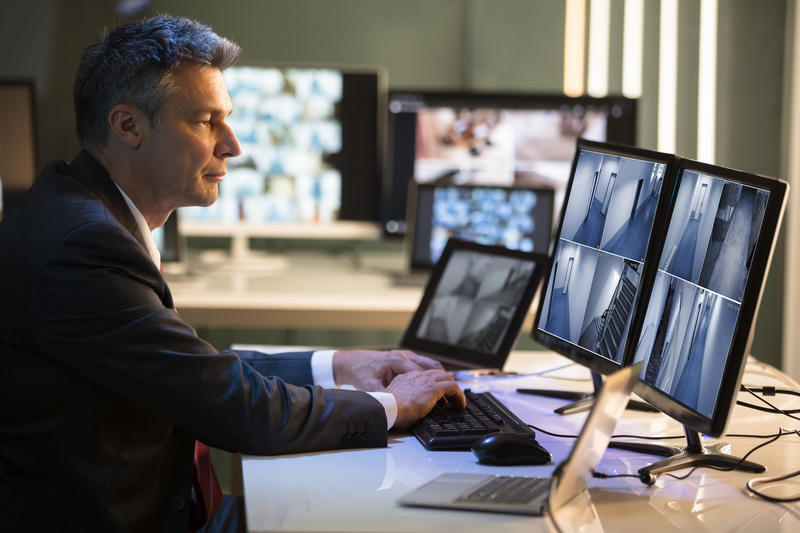 With the option of having Audio and Video entry systems, this allows staff or whoever is operating the entry system to talk to the person looking to gain access to the premises. As a quality of life feature our Door Entry Systems are flexible enough to allow scheduled access for things such as deliveries. Our Door Entry Systems also provide other options to fit all the needs you may have. It's important to have an intruder alarm or CCTV installed at your home or business premises, but if its it not regularly serviced then it may not work as well as it should. Our maintenance package covers everything from checking cables and power supplies, to cleaning of the detection equipment and checking onsite paperwork. Our years of experience tells us that properly maintained equipment will save customers money from having to replace old, broken equipment.